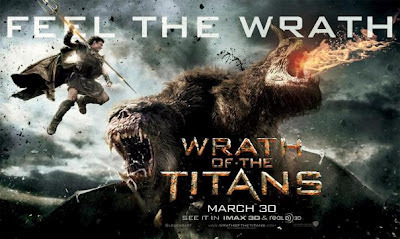 New Trailer for "Wrath of the Titans"
Man this looks cool! I'm so afraid for how much I'm getting pumped for this movie. We've talked about it a couple of times here on the Slackers Selection Movie Blog, but before "Clash of the Titans" hit, we were all so stoked. From all of the imagery and everything, it looked like it was going to be one of the best films of the year. But then we watched it. And it came up flat. 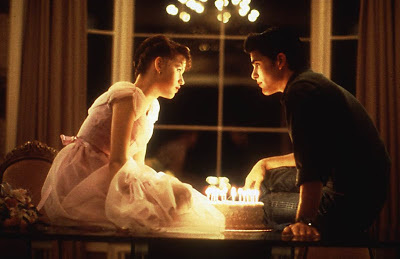 Ultimately just a very forgettable film. There were some cool effects, but it wasn't ever anything close to what we initially expected. Maybe that's our fault, who knows. Either way, a valuable lesson was learned that day: when the trailers and photos hit for the next installment, don't get too excited. Keep it all in check. I promised myself that I'd remember that, and use this experience for the future. These films offer great visuals, but nothing more that I should be getting my hopes up for. And, well, up until now, I've been able to keep my emotions at bay. But after watching this trailer, I give up. I'm all in again! This newest trailer looks awesome! I can't wait for this movie! Check it out after the break. Looks like non-stop epicness to me! A decade after his heroic defeat of the monstrous Kraken, Perseus (Worthington)-the demigod son of Zeus (Neeson)–is attempting to live a quieter life as a village fisherman and the sole parent to his 10-year old son, Helius. Meanwhile, a struggle for supremacy rages between the gods and the Titans. Dangerously weakened by humanity’s lack of devotion, the gods are losing control of the imprisoned Titans and their ferocious leader, Kronos, father of the long-ruling brothers Zeus, Hades (Fiennes) and Poseidon (Danny Huston). The triumvirate had overthrown their powerful father long ago, leaving him to rot in the gloomy abyss of Tartarus, a dungeon that lies deep within the cavernous underworld. Perseus cannot ignore his true calling when Hades, along with Zeus’ godly son, Ares (Edgar Ramirez), switch loyalties and make a deal with Kronos to capture Zeus. The Titans’ strength grows stronger as Zeus’ remaining godly powers are siphoned, and hell is unleashed on earth. Enlisting the help of the warrior Queen Andromeda (Rosamund Pike), Poseidon’s demigod son, Argenor (Toby Kebbell), and fallen god Hephaestus (Bill Nighy), Perseus bravely embarks on a treacherous quest into the underworld to rescue Zeus, overthrow the Titans and save mankind. Shoot. That does look really awesome. I was already on board, although, unlike most people I really enjoyed the first one. But they really look like they're pulllin out all the stops for this one.